Facing house repossession can be a daunting and upsetting time for you and your family. Whether you’re struggling to keep up with mortgage repayments due to financial difficulties or you’re already in arrears, it’s important to know how you can avoid repossession of your home. When you buy your home using a mortgage, the lender owns a part of your property until you repay the loan in full. If you fail to meet your mortgage instalments each month, you’ll fall into arrears and could face repossession. Repossession means you’ll be evicted and your lender will sell the property to repay the outstanding mortgage debts. Your mortgage contract contains a clause that gives the lender the right to repossess the property if repayments are not met, so if your mortgage company contacts you concerning arrears or missed payments, do not ignore them. Lenders will only pursue court action to repossess your home as a last resort. Mortgage lenders will generally forgive the occasional missed payment, but will take action if you miss four or more instalments. It’s important to read your mortgage contract carefully, as lenders who specialise in high-risk loans will likely begin foreclosure proceedings after just two missed payments. One way to avoid the stress and court fees associated with repossession is by voluntary repossession. While your lender must give you reasonable time to sell your home, if your property is in negative equity then selling may be impossible. Voluntary repossession requires you to choose to stop your mortgage payments, move out of the property and hand the keys back to the mortgage lender. This allows you to leave the stress of selling the property to the mortgage company, but it does require you to find alternative accommodation. Talk to your lender: Your lender has to follow pre-action protocol rules and taking you to court should be a last resort. Lenders must treat you fairly, discuss your finances to give you a reasonable chance to pay the arrears and provide you with an accurate account of your payments made over the last two years. Change your mortgage terms: Ask your lender if it’s possible to alter the terms or type of mortgage before the possession proceedings start. You could ask them to extend the mortgage term, reduce repayment amounts, capitalise the arrears or take a temporary break from making repayments. Pay towards your arrears: Even if you can’t pay the full instalment, paying anything you can proves that you are making your mortgage a priority and helps to build trust with your lender. If you do end up in court, the judge can help you formally agree a repayment plan with your lender. Rent your home: Consider renting out all or part of your property to increase your income and help meet mortgage repayments. You may have to get permission from your lender before you rent out a room and you will need to notify the HMRC about any income you’ll make from renting. Check if you can claim help: You may be able to claim benefits if you are unemployed, can’t work due to health problems or have a low income. If you claim qualifying benefits, you may be able to get further help through support for mortgage interest and universal credit help with housing costs. Tell your lender if you’ve applied for any financial help, as they shouldn’t start possession action if your claim is likely to be approved. Check your insurance policy: If you can’t meet your mortgage repayments because of illness, an accident or redundancy, you should check with your lender to see if you took out mortgage protection insurance. Mortgage protection insurance allows you to continue paying off your mortgage if you no longer receive a stable income and providers will typically pay out 125% of your mortgage costs. If you fall behind with your mortgage repayments, your lender will write to you concerning mortgage arrears. You can negotiate with your lender at this stage. During this time, you should send a proposal to your lender about how you plan to repay the arrears. At this stage, it is still possible to stop the repossession. If the lender rejects your proposal, they will distribute a second warning, stating they will begin court action to repossess your home. Your mortgage lender will apply for a court order to repossess your home. This application will detail why a judge should grant the lender possession of the property and costs £325 to submit. If the lender is not claiming rent arrears, they can apply for an accelerated possession order which costs £355. You will be notified of your court hearing date, where a judge will decide whether the mortgage lender can possess your home. You must reply to the court using the provided defence form. This is a good stage to get legal advice from an adviser who can help you negotiate with the lender’s solicitor. The judge will evaluate the evidence provided by you and your mortgage lender before reaching a verdict. 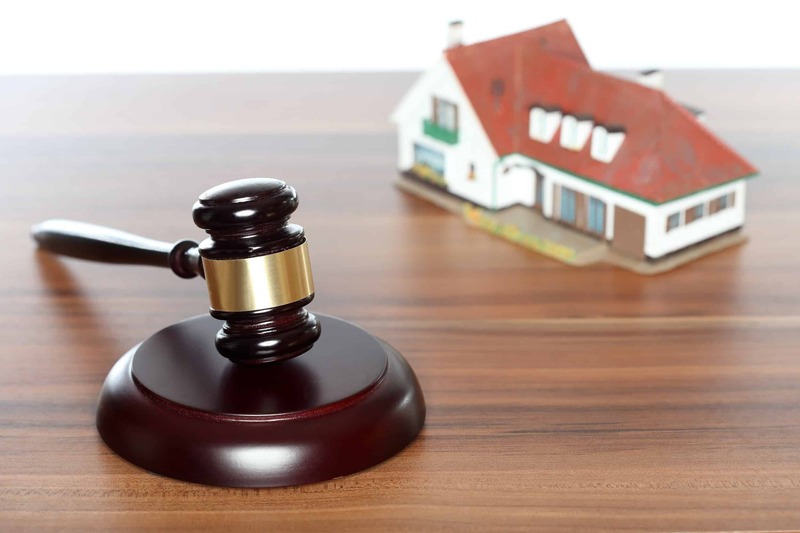 The judge may decide that your home should be repossessed, issue a suspended possession order, adjourn the case or completely dismiss the case against you. A possession order is granted if the court decides your home should be repossessed. You will usually be given 28 days to vacate the property, but it some cases the judge could allow you up to 56 days. You will also have to pay court costs, which the lender typically adds to your outstanding debt. If you don’t vacate the property on the agreed date or you don’t keep to a repayment agreement made in court, bailiffs will be sent to remove you. The lender will apply to the court for a warrant to allow the bailiffs to repossess your home. You will receive written warning of when the bailiffs will come to evict you. Your mortgage lender sells the repossessed property. Until the property is sold, you are responsible for paying interest on what you owe. Once the sale is completed, the lender keeps the money that they are owed and pays you anything that is left over. If the property sale does not cover what you owe, you may have to pay off any mortgage shortfall to the lender. If you know you can’t pay your mortgage or clear your arrears, it may be better to sell your home before it can be repossessed. You will need to get your mortgage lender’s permission before selling if your home has negative equity. Once you decide to sell your home quickly to release equity, you have to begin the costly process of finding an estate agent and solicitor, all with the possibility of the house stagnating on the property market for months before finding a buyer and completing the sale. Regulated property buyers like Good Move can help you release equity quickly and avoid repossession. Good Move aim to buy your property within three weeks for up to 85% of the market value in cash, regardless of its condition or lease length. There are no hidden fees or property chains and each sale is confidential. If you want to sell your house fast, contact the experienced chartered surveyors at Good Move to receive a tailored quote for your property.